Converting Doc to PDF is sometimes required for preparing presentations, brochures, online publications and other uneditable documents. PDF is very handy format for sharing various kinds of information with public. It is compact, allows storing different kinds of data in one file and provides extended facilities for data protection. Now you can convert Doc to PDF through web-server thanks to Total Doc ConverterX from CoolUtils. This version of handy PDF converter is installed on a web server to provide converting features in multi-user mode. 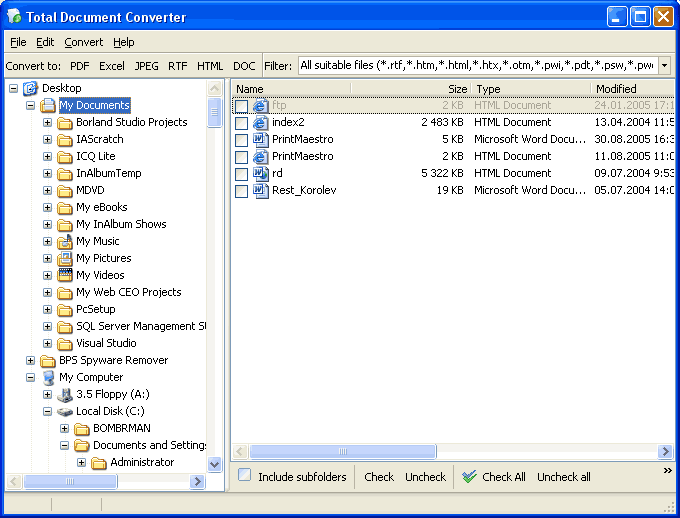 Total Doc Converter can be easily integrated into another web-based application with the aim of ActiveX. While this variant is more suitable for wide use online, convert Doc to PDF command line mode is better for using locally in commercial or home computer network. These are only a part of features offered in this Doc PDF converter for web-server. All options are set in text command that is send to the server. The command format and all parameters are very laconic that makes the program very simple in use. You can try the program for free, to test it on the live environment before the purchase. Download free trial here!